Presenting 38 Redgum Place, Gaythorne. Nestled in coveted Redgum Place, number 38 presents the perfect opportunity to secure a substantial contemporary residence in thriving Gaythorne. Spread over two sprawling levels, this beautiful family home offers style and space with multiple living areas. On the ground floor and at the heart of the home are open-plan lounge, dining and kitchen areas - all generously proportioned and enhanced with high ceilings and a freshly painted crisp colour scheme. Equipped with stainless steel appliances including a wide gas cooktop, the kitchen is centrally positioned to service the internal and external entertaining areas and is sure to excite the chef in you! The superb covered alfresco area with timber decking and wood-fired pizza oven is easily accessible through wide glass stacker doors and is the perfect spot to entertain friends, or to sit and watch the children playing in the private back yard. 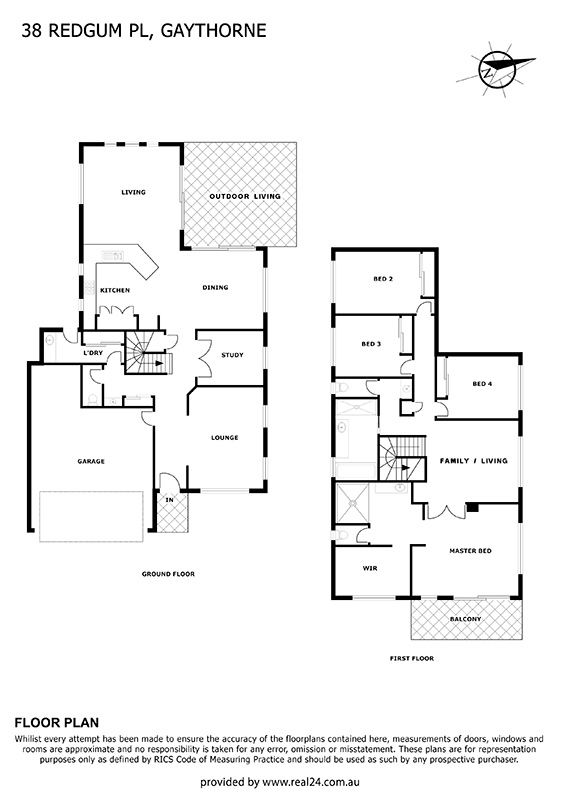 Also featuring on the ground floor is an additional separate living area/media room plus a study and powder room. Venture upstairs and you will find four bedrooms and anther family/living area. The stylish master retreat is generously proportioned with a dedicated balcony, luxurious plantation shutters, walk-in-robe and enormous ensuite. Living here, you will be around 8kms from the CBD (20 minutes by train from Gaythorne station, which is an approximate 12 minute walk or 3 minute drive away), and moments from Blackwood Street's bustling cafe precinct and the hugely popular monthly Farmers' Markets. Brookside shopping centre (home to MYER and other specialty stores), bike paths, schools and public transport are also moments away.